Every day is a perfect day to tell someone just how much you love them. 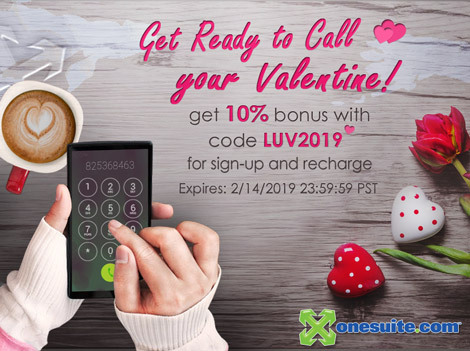 Get ready for the Valentine's Day with this extra 10% bonus for signup and recharge. 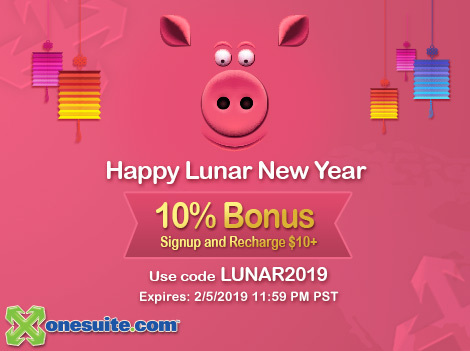 Lunar New Year is the most celebrated holiday for most Asians worldwide. 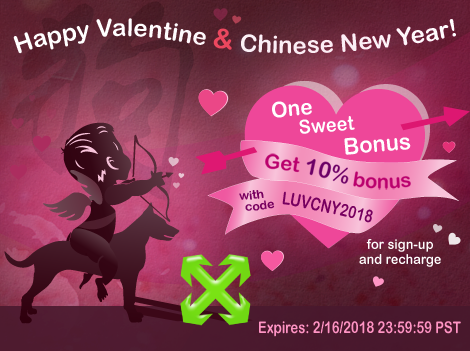 It’s a tradition to greet family and friends with auspicious phrases such as "Gong xi fa cai", "Gong hei fat choi", "Cung hỉ phát tài", or "Saehae bok manhi baduseyo" and a custom to give “red envelope” for good luck. 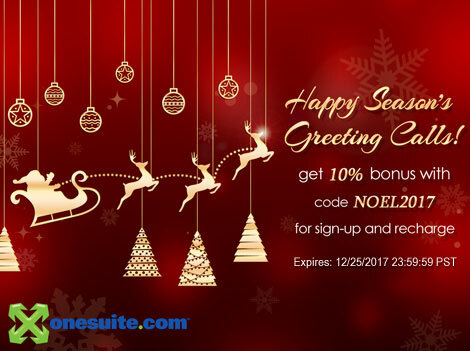 OneSuite wishes you, family and friends abroad to talk more and save more during this happy and prosperous rooster year with this 10% bonus. 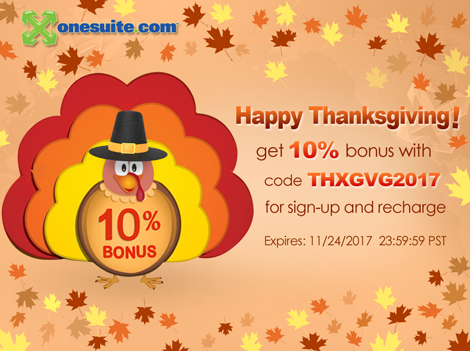 OneSuite wishes you and your family a Happy Thanksgiving season with this extra 10% Sign-up and Recharge bonus. 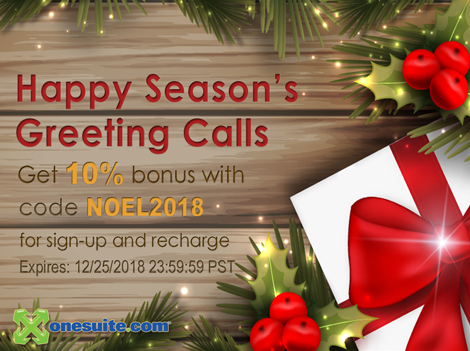 Enjoy our true low international calling rates, and flexible calling methods while "Suite" talking with your family and friends abroad!